You can skip all my text below and just go down to the recipe. This one is THAT good. I'm serious. I do love a good lettuce wrap, but this blew the other ones I have had OUT! This will be on our weekly rotation for a while....15 minutes prep (that can be done earlier in the day) and literally 10 minutes cooking time once prep done. So in less than 30 minutes, this is great as a meal, or a heavy appetizer. It is healthy, gluten free (see below), low fat, low carb, HIGH flavor! Beef can get a bad wrap sometimes, but this protein-rich, iron-rich food can be a healthy addition to your diet, IF you do it right. It's loaded with nutrients and antioxidants, including zinc, vitamin B6, and alpha lipoic acid. A 3oz serving of 95% lean ground beef has just 164 calories and 4.5g of fat, but offers up 24g of protein. I often choose lean ground beef over turkey, not only because I like the flavor better (not a fan of turkey), but because when you compare ground turkey with its lean beef counterpart, they’re relatively even. So why not? This is a GREAT recipe to utilize lean ground beef since you do not need the fat in the beef like you may when grilling, and the flavor here is jam PACKED! I'm serious, these lettuce wraps are AMAZING! You won't miss a thing - not the fat, calories, flavor, nada! We devoured this dish tonight, literally neither of us talked to one another....just relished in the OMG "this is SOOO good" moment. 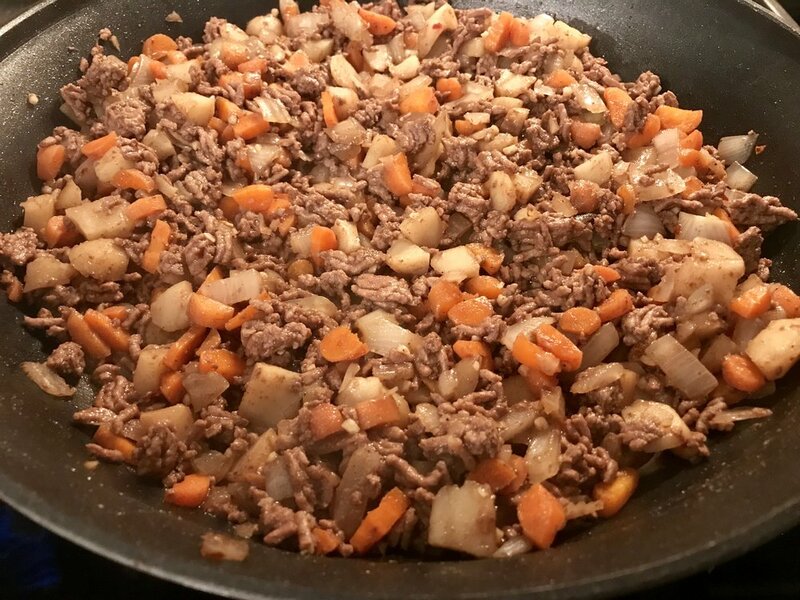 Serve this meat and veggie mixture up in some bib lettuce and you have a healthy, protein packed, gluten free (if you use GF soy sauce), low-carb, DELISH dinner (or appetizer) sure to please anyone (except a vegan or vegetarian haha - although feel free to swap meatless crumble for ground beef if you prefer). This recipe is now on our dinner ROTATION for the warmer months as it is satisfying without being HEAVY. If there is a veggie in the list below you do not like, also feel free to swap - just make sure it is chopped or in very small pieces (a few other options: diced bell pepper, shredded cabbage or petite peas).